Can Micromax Continue Its Momentum? Micromax is the largest Indian manufacturer, and has been steadily growing over the years. This year has been great for the vendor, with a tenfold increase in sales and revenue. As is usually the case, the manufacturer is diversifying its offerings, and has launched the Canvas Tab, the first tablet in the Canvas line. Rumours last week also indicated that its next mobile device will be called the Canvas Turbo A250, and that it will feature a full-HD screen. Will these devices be enough to consolidate the manufacturer’s growth? With Chinese vendors like Gionee and Huawei entering the Indian market and with the likes of Xiaomi and Meizu allegedly set to make their way next year, can Micromax continue its momentum? Let’s find out. 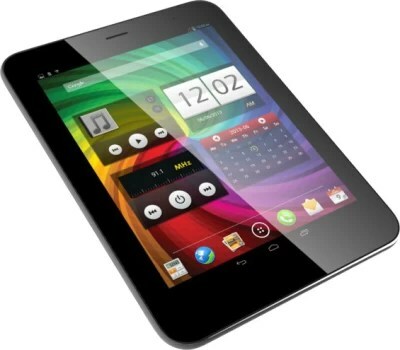 The Canvas Tab is a budget tablet that squares off against the likes of the Nexus 7 and the Galaxy Tab 3. The Canvas Tab has a slight advantage in that it is an 8-inch tablet. However, that is negated once you consider that it comes with a screen resolution of 976 × 768, which is far lower than the 1280 x 800 resolution that the Nexus 7 boasts. Other hardware details on the tablet include a 1 GB RAM, of which 650 MB is available to the user, and 16 GB internal storage, of which the user has access to 12 GB. The tablet comes with a 1.2 GHz quad-core MT8389 CPU which is quite decent, although other tablets are starting to offer better hardware. The 5MP camera at the back and the 2 MP at the front are better than standard fare, and are a great addition on the tablet. The inclusion of a SIM card slot means that you can now be connected on the go. The 4,800 mAh battery offers 10 hours of talk time and lasts for 5 hours if you cycle through videos continuously. While the tablet is geared to go against the Galaxy Tab 3, there are a lot of new tablets out in the market that offer a similar set of features. The screen is a big let-down, and the RAM will also start to feel less once you load a few games on the tablet. Furthermore, the imminent arrival of the Nexus 7 2013 and Amazon’s latest Kindle Fire models only serves to further add more worthy contenders to the already crowded budget Android tablet market. 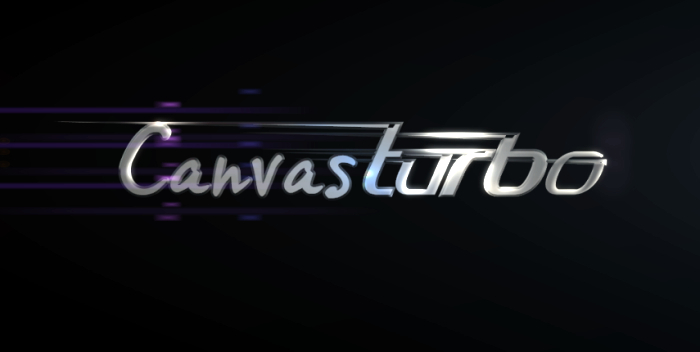 While Micromax can feel out the market with the Canvas Tab, it cannot afford to do so with the Canvas Turbo A250. The budget handset environment is very different from when the brand launched the Canvas HD. These days, international manufacturers are also launching their wares in this segment, and the Chinese vendors like Gionee and Huawei have established their bases in the country. While Micromax has largely been able to contend against the likes of Samsung in this category, we’re not sure if it will be able to so against the Chinese vendors. Devices like the Gionee Elife E6 have launched in India, and they offer high-end features to the mid-range buyer. The mobile is available for Rs. 23,000, and not only comes with better hardware, but also has a great design. As most devices in this category feature almost similar hardware, it is the design that becomes the key differentiator. Therefore, Micromax has to ensure that the Canvas Turbo A250 is designed to go against the likes of the Elife E6. Another factor that needs to be considered by Micromax is the pricing of its devices. Although the Micromax Canvas 4 price in India is currently Rs. 15,999, it originally had a price of Rs. 19,000, which was a deterrent to most buyers interested in the device. Overall, it will be very hard for Micromax to maintain its status as the de facto leader in the market. Along with the Chinese threat, Micromax faces a strong challenge from the likes of Xolo, who is collaborating with international manufacturers like Intel and Nvidia. Xolo has launched devices that featured Intel’s processors, and its latest tablet is a version of Nvidia’s Tegra Note that comes with a similar set of features as the Canvas Tab. We might not see a monumental shift right away, but unless Micromax comes out with a device that is as innovative as the Canvas HD, it will find it hard to continue its momentum.